Essential Gems features an assortment of red fabrics by Wilmington Prints. 100% Cotton. This pre-cut contains 24 strips, each measuring approximately 2 1/2" x 44". 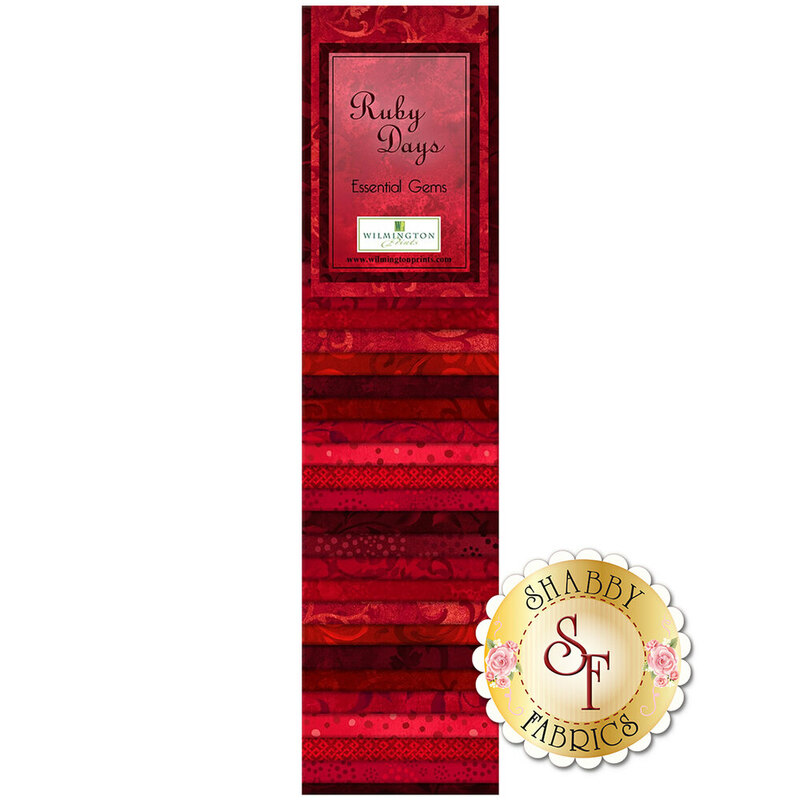 *Please Note: If you are creating your own Jelly Roll Rug, you will need two pre-cut strip packs to complete one rug.